The team at Made By WiFi has provided WiFi Internet solutions at conference spaces, event venues, trade shows, festivals and all sorts of indoor and outdoor events in New York City and nationwide. We are trusted by so many because we offer so much. 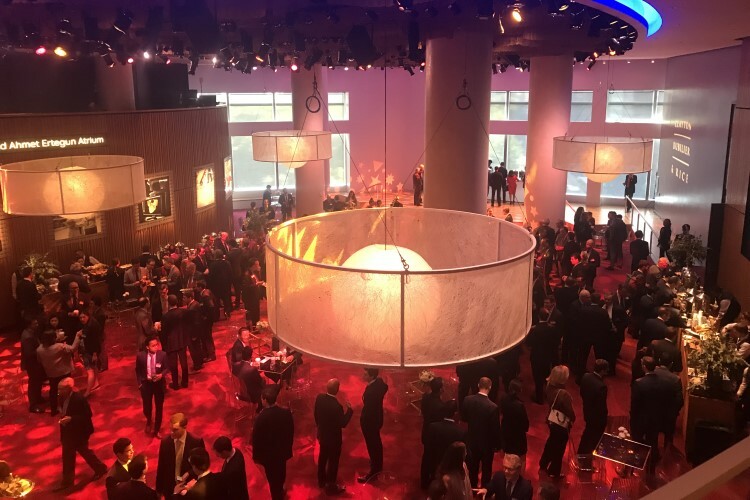 If you’re throwing a huge event in New York City, chances are it’s going to be in one of the city’s more prominent conference spaces or event venues. Every venue has its own unique intricacies and features that differentiate it from the rest. This can be a double-edged sword for event producers. On one hand, they can create unique experiences at every location they work in. On the other, it can be a bit of a headache to find WiFi internet for event spaces. WiFi Internet for event venues doesn’t have to be difficult. The key is working with a trustworthy and knowledgeable event WiFi Internet provider. Made By WiFi has worked with the world’s biggest names to throw events in the nation’s most legendary venues. We understand high density WiFi and adjust our work flow and network design to meet the unique needs of the event, as well as the physical layout and aesthetics of the venue. We’re production-friendly – We know event producers have a lot on their plates, so we make life easier for them – getting the job done without requiring supervision or guidance. We learn the scope of work and WiFi Internet expectation during the discovery stage and we come to every job site prepared to complete the task at hand. We’re WiFi & Internet experts – Unlike most of our competitors, we don’t deviate from Internet and WiFi. It’s what we know best and events are our specialty. Alternative providers may claim that they know how to provide WiFi Internet for event spaces, but they fail to understand the nuances. We’re frequently called-in to fix their messes and deliver event WiFi solutions that work the way they’re supposed to. We use the best equipment available – Not all WiFi and Internet equipment is the same. We only use the most current Ruckus Wireless AC Wave 2 access points for high density event WiFi at event venues and conferences. Made By WiFi may have the most experience and the best tools, but these assets would go to waste without proper planning and execution. Years of providing WiFi internet for event spaces has taught us that each event venue requires attention and a well-executed game plan when it comes to installation. Call us to survey your event venue and watch as our engineers visually scan your space to make sure certain requirements are met to deliver optimal WiFi solutions. What are our engineers looking for? Access point positioning – Do you have enough access points in your space to accommodate the demand on your network by event guests and production teams? Different venues host different types of events, so it’s important to understand who will be in attendance and the various levels of network demand that will be requested. Access point type – Not all access points are made for the same purpose. What you use at home or in the office may not be the right access point to support thousands of devices at your event venue. Even when dealing with access points labeled “high-density”, it’s important to choose the right manufacturer and model type. Walls and other structures – Walls and other structures, such as glass and metal, wreak havoc on wireless signals. It’s important to keep all of these structures, both permanent and temporary, in mind when developing the access point layout for your event. Cabling paths – Access points and other WiFi and Internet infrastructure very often depend on wires to operate. We run cables with your venue’s and event’s aesthetics in mind. We aim to make cables as invisible as possible (unless you want them visible) and use proper taping techniques to prevent paint from peeling-off. Guest flow – It’s important to understand how your guests will flow into the event and where they will congregate. For example, bars, lounge areas and scenic windows often draw big crowds. WiFi signal strength should be optimal at these locations so that people can enjoy a seamless, speedy connection as they tweet, snap and otherwise share information about your event and brand. Network equipment – Beyond just your access points, other equipment like switches, firewalls and gateway controllers can impact the network experience. If we need to use existing venue equipment, we make sure to plan accordingly and supplement when necessary. A chain is only as weak as its weakest link, so we make sure that all of our links are rock solid. Bandwidth type – The type of bandwidth available at your event venue or conference space may differ based on location. We’re a WiFi Internet provider that can deliver bandwidth solutions at every event space in New York City and nationwide. We will tell you your options, the differences in price and reliability and how the expected outcome compares to what you’re trying to achieve. Made By WiFi provides reliable WiFi internet for event spaces in New York and nationwide. Our equipment, industry knowledge and commitment to planning translates into results. We’ve worked with the most prominent event venues in the country and want to work with your event venue next. To learn more about Made By WiFi’s services and/or to receive a risk-free, no obligation quote, contact us today.